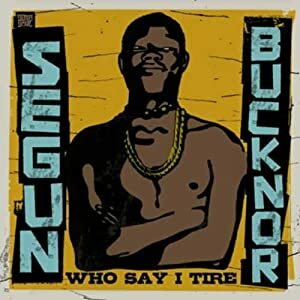 While he didn’t have the same longstanding career or notoriety as Fela Kuti, Nigerian singer, pianist, guitarist and composer Segun Bucknor was just as much of a trailblazer in what came to be known as Afrobeat. Like Fela, Bucknor started out playing in the popular highlife style. And like Fela, it was a visit to the United States (Bucknor studied arts and music at New York’s Columbia University from 1965 to 1968) that opened his eyes and ears to American soul music. Upon returning to Nigeria, Bucknor formed The Soul Assembly, a band whose sound closely echoed what he’d heard in the States. After that short-lived group ceased to be, Bucknor sought to combine the swing and drive of soul with a musical foundation that was more specifically African and a viewpoint that likewise reflected the growing radicalism of post-colonial Nigeria. He dubbed his new band The Assembly (later The Revolution) and the most complete compiling of his work with them is found on the double CD set Who Say I Tire. Listen to "You Killing Me"